December | 2015 | ". . . let God be found true, though every man be found a liar." This program aired on KIUN 1400 AM in Pecos, TX on December 28, 2015. Fabeled Ohio St. football coach Woody Hayes was an advocate of running the ball. His teams were characterized as “three yards and a cloud of dust.” When asked about passing the football, Hayes is reputed to have said, “When you throw the ball three things can happen, and two of them are bad.” As successful as his teams were, Woody Hayes had a decidedly pessimistic view of an important part of the game of football. The men who envisioned and created our nation were men of great insight, and given the circumstances in which they lived must have been generally optimistic in their outlook. Even so, one of the founding fathers, Benjamin Franklin, is credited with expounding one of the most pessimistic observations about life. He said that there are only two things certain in life: death and taxes. It’s hard to imagine the great things he accomplished having this point of view. These examples illustrate perhaps the greatest challenge of life. That is, remaining content and upbeat in the face of all the calamities that befall us. As soon as we are born, we begin to die. Along the way, we experience sickness and disease, disappointment and discouragement, and any number of other hardships that are typical of human life. It is easy to see why some think that life is basically bad — and then you die. This kind of pessimism is born from a general sense that one can do little or nothing to affective outcome of his life. Christians, however, have a hope that more than overcomes the setbacks of life. Paul spoke of this hope in his first letter to the church in Thessalonica. Many of them were concerned about their loved ones in Christ who had died before the Lord’s return. To comfort them, Paul said, “But we do not want you to be uninformed, brethren, about those who are asleep, so that you will not grieve as do the rest who have no hope” (1 Th. 4:13). He then went on to describe how the dead in Christ will rise first when the Lord returns, and that they will be joined in the air with the Lord by those who remain alive at the Lord’s return (vs. 14-17). He closed his exhortation with this statement: “Therefore comfort one another with these words” (v. 18). Those who are Christians have a comfort that non-Christians do not have. They have the comfort that there is more after life and death, and that what awaits them on the other side is much better than anything in life. It is so much better, in fact, that Paul told the Christians in Rome that all the suffering of life cannot be compared to the glory that will be revealed to us (Rom. 8:18). Christians have the hope of eternal life in the presence of God the Father. Scripture promises us that when we get there, God Himself will wipe away every tear, and there will no longer be any of the painful things that characterized earthly life (Rev. 7:17; 21:3-4). Christians have this hope because they have been washed in the blood of the Lamb, and their sins have been forgiven. They have this hope because their names have been written in the book of life and the Lord has prepared a place for them in heaven. We often sing a song entitled, “It Is Well With My Soul.” This beautiful hymn captures our hope and our comfort in life. 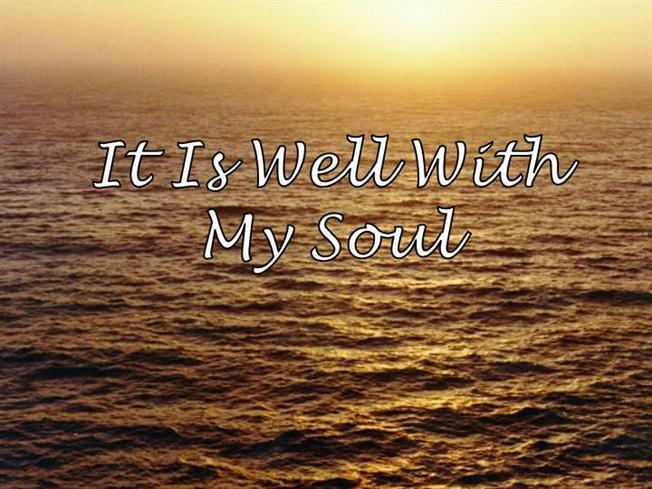 When bad things happen, including the death of a loved one, we can still sing, “It is well with my soul,” because we know our souls are safe in the hands of Jesus. We who are Christians can endure whatever life throws at us and still say, “It is well,” because we have the hope that only the blood of our Lord provides. May everyone learn and obey the Lord’s will so that they, too, may have this hope and comfort. This program aired on KIUN 1400 AM in Pecos, TX on December 25, 2015. The approach of a new year is always a time of great anticipation. We generally look forward to a new year as a time to wipe the slate clean and start afresh. Our desire to do so may be expressed in a general sense in broad wishes for things to be better in the upcoming year than they were in the last one. They may also be stated in very specific terms in the form of resolutions to undertake particular actions in order to improve one’s health or skills or conduct. In whatever form our desires may be voiced, we all genuinely want things to be better today than they were yesterday. The challenge of our New Year’s wishes is illustrated by the story of an old man and his dog. They spent long hours on the front porch, the old man rocking in his chair, and the dog lying on the wooden planks that made up the porch. One day as the man’s grandson was visiting he observed the dog as he whined and wriggled and then would lie still again. This process repeated itself many times over the course of an hour. Finally, the boy asked his grandfather what was wrong with the dog. The man replied that the dog was lying on a nail that poked him and made him uncomfortable. Unfortunately, it did not make the dog uncomfortable enough to get up and move to a different spot on the porch. This is our problem when it comes to self-improvement. We may be unhappy with some aspect of our lives, but we’re not unhappy enough to change that circumstance. Like the dog, we whine and complain, and then settle back into the same habits again. We seem oblivious to the fact that for our circumstances to change, we have to change. As one man said, “If you keep on doing what you’re doing, you’ll keep getting what you’ve got.” This is true in every part of our lives, but is no more so true than in our relationship with the Lord. 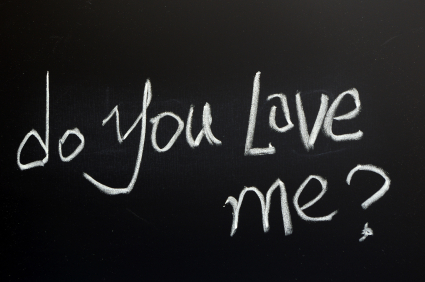 If asked the question, most people will readily say that they want to go to heaven. They sincerely mean it, of course, but when it comes down to doing what God requires in order to get there, they aren’t willing to obey Him. They are uncomfortable with their sins, but not uncomfortable enough to change the way they live. Then they wonder why their lives never seem to improve. In order for our spiritual lives to improve, we have to be willing to change whatever is keeping us from being all that the Lord intends for us to be. For those who are not yet Christians, this means being willing to hear, believe, and obey the gospel of Jesus Christ. The Lord said that He was going to prepare a place for His disciples (Jn. 14:1-3). 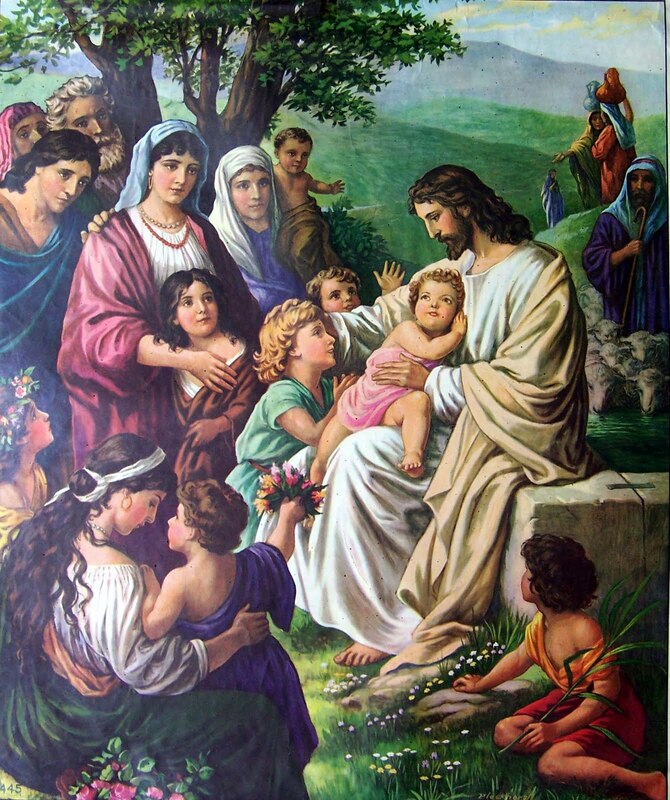 He also said that only those who do the will of the Father in heaven will enter there (Mt. 7:21). If one is not yet doing the will of the Father, he must begin to do so in order to receive this reward. In addition to this, the scriptures teach that those who are disciples must grow and mature in the faith (2 Pet. 1:5-11; Heb. 5:12). If one is not growing as a Christian, he must begin to do so in order to be pleasing to the Lord. He cannot simply wish that he were more mature and capable as a disciple, he must change his attitudes and actions in order to become such. Most of us are not satisfied with where we are in our spiritual pursuits. This does not mean that we are evil and rebellious toward God. It just acknowledges that we all wish we were doing a better job of following the Lord. All our wishes, however, are meaningless until we get off the nail in the porch and change what we’re doing. Only then will we begin to achieve our spiritual goals, and become a better person today than we were yesterday. This program aired on KIUN 1400 AM in Pecos, TX on December 18, 2015. The term “magi” in the New American Standard Bible (NASB) refers to a class of men in ancient times who were typically counselors to kings. These men were highly educated, often in areas such as astronomy, astrology, and natural sciences. 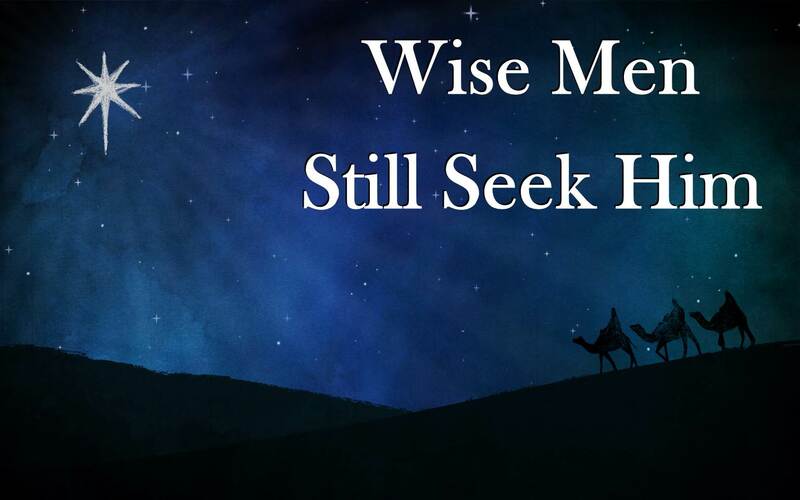 This is the reason why the term “wise men” is so often used to describe them. These men were thought to have particular insight into the workings of the universe and thus were invaluable aides to monarchs in virtually every ancient culture. In the case of the wise men in Matthew’s account, they were from an unnamed eastern nation and were led to the birthplace of the Lord by a special star. The scriptures do not explain to us the extent of their understanding about Jesus’ identity, or the means by which they were led by the star. All we know is that they recognized this star as the sign of the birth of the king of the Jews. This was sufficient motivation for them to follow it in order to worship this new king. These men are called wise men because they belonged to the special class of advisors who served ancient kings. However, they were wise in another sense as well. We consider them to be wise men because they were seeking the Savior of the world in order to worship Him. In this sense, they are the model for all who would be wise in every generation of mankind. When Paul spoke to the Athenians on the Areopagus, he told them that God had made every nation of mankind so they might seek Him and find Him, even though He is not far from each one of us (Acts 17:26-27). Unlike the pagan gods who stood aloof from their subjects and shrouded themselves in mystery, the true and living God has clearly revealed Himself in creation and in His word. Having left this evidence for us, He calls on us to seek Him in accordance with His word so He can take us home with Him to heaven at the end of time. Several statements of scripture underscore this truth. In Mt. 6:33 Jesus called on His audience to seek first God’s kingdom and His righteousness. In Mt. 7:7 He told them to seek and they would find. In Isa. 55:6 the prophet said, “Seek the Lord while He may be found; call upon Him while He is near.” The promise of scripture is that if we seek God, we will find Him, and when we find Him, we will find eternal life. Unlike the wise men who sought the birthplace of the Savior, we do not have to undertake a lengthy journey to a foreign land in order to find God. We can find Him in the comfort of our own homes by opening up the scriptures and following their dictates. In Jn. 14:6 Jesus told His apostles that He is the way, and the truth, and the life, and no one comes to the Father except through Him. In Heb. 11:6 the scripture says we must believe that God is, and that He is a rewarder of those who seek Him. This is both exhortation and promise. God will reward those who seek Him, and wise men still seek Him. This program aired on KIUN 1400 AM in Pecos, TX on December 11, 2015. Some years ago a fad swept through the ranks of evangelical Christians. In order to inspire believers to be more thoughtful in their conduct the acronym WWJD began to be published in every possible venue. 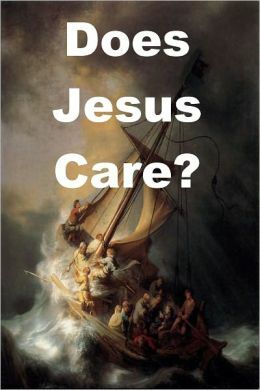 The acronym stood for, “What Would Jesus Do?”, and soon it adorned all sorts of clothing, jewelry, signage, and bumper stickers. It was a call for believers to follow the Lord’s example in all their daily affairs. Like most fads it passed about as quickly as it had arisen. 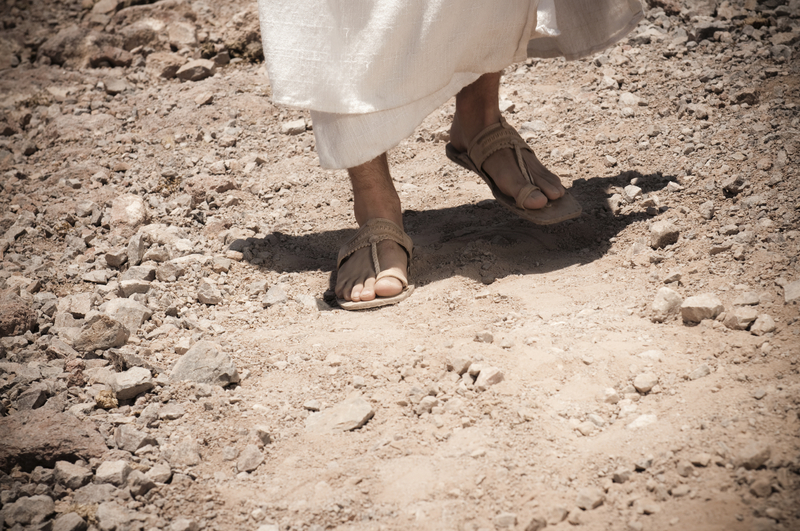 We love to sing this song, but do we fully understand what it means to walk in the footsteps of Jesus? The song paints the Christian walk in broad stokes, and in the context of the high and noble aspects of following the Lord. Peter’s statement, on the other hand, speaks more to the nuts and bolts of Christian living. The things of which Peter spoke are not the kinds of things for which recognition and acclaim are given, or about which songs are sung. They are the “down in the trenches” aspects of Christian living, and they are, ultimately, what sets us apart as true followers of the Lord. According to Peter, our Lord set the example by not committing sin. This is the most daunting aspect of following the Lord’s example because on our own we are incapable of sinless living. It is not impossible, however, because John promised Christians that if we walk in the light the blood of Jesus cleanses us from our sins (1 Jn. 1:7-9). Thus our sins are covered, and are not counted against us. The other aspects of the Lord’s example, as Peter stated them, are well within our human ability to achieve. Never being deceitful is a choice we make, and we can all do this. Refusing to return verbal abuse or threats to those who utter them to us is something we all can do. Entrusting ourselves to God the righteous judge is also well within our capabilities as humans. There is simply no excuse for not following the Lord’s example in these ways. Of course we are able to do these things because the Lord bore our sins on the cross. He did this so we could die to sin and live righteously. The Lord’s sacrifice on the cross heals us from all the wounds of life, and it enables us to follow His example of godly living. If we are serious about going to heaven, we must follow the example of Jesus. He walked through life just as we do, and if we follow His footsteps, He will lead us all the way home. This program aired on KIUN 1400 AM in Pecos, TX on December 4, 2015. In recent years a Christmas ritual called “Elf on the Shelf” has become something of a mania. Social media is saturated with photos about how this family or that family practices this tradition. Apparently many families take this very seriously. The ones who do are no doubt dismayed and annoyed at those who make fun of it. Pictures of elves having been eaten by the dog, or hung in effigy, or destroyed in some humorous way are about as common as the serious ones. The purpose of the Elf on the Shelf, according to the 2005 book by the same name, is to remind children to behave so they will receive presents on Christmas Day. Apparently the elf reports to Santa on what everyone in the household is doing. Obedience is always an appropriate subject matter as we are raising our children, of course, and if an Elf on the Shelf helps with this, then perhaps it has some value. Some of us, however, were raised with a different motivational tool. It was called the Belt on the Shelf. Time will tell which approach is better. When we think about being watched as we go about our daily business, the Elf on the Shelf is but a shadow of the truth on this subject. The scriptures teach us that we are indeed being watched each day in all that we do. The one watching, however, is not an elf, and is not limited to a specific location in one’s home or office. The one who is watching us is unlimited in scope and presence. In fact, He is everywhere present in space and time. He is God the Father, and the scriptures teach that He sees everything we do. 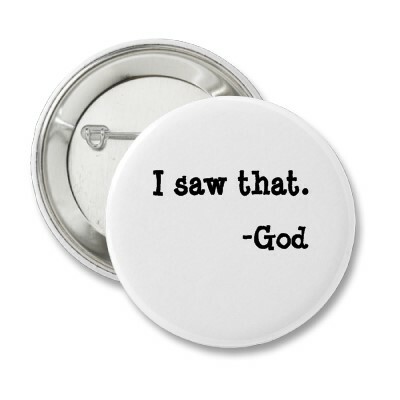 The fact that God sees everything should certainly give us pause as we contemplate the actions we may take each day. However, there is more to this truth that must be considered. In 2 Chr. 16:9 the scripture says, “For the eyes of the Lord move to and fro throughout the earth that He may strongly support those whose heart is completely His.” In Psa. 33:18, 19 the scripture says, “Behold, the eye of the Lord is on those who fear Him, on those who hope for His lovingkindness, to deliver their soul from death and to keep them alive in famine.” These statements assure us that God watches the righteous in order to provide for them and to protect them. He has a different perspective, however, on the unrighteous. In Psa. 34:15, 16 the scripture says, “The eyes of the Lord are toward the righteous and His ears are open to their cry. The face of the Lord is against evildoers, to cut off the memory of them from the earth.” This same truth is repeated in Heb. 4:13, where the scripture says, “And there is no creature hidden from His sight, but all things are open and laid bare to the eyes of Him with whom we have to do.” The implication of these statements is that God sees and takes note of wicked deeds in order to render His judgment against those who do them. Some are offended by the idea of an eye in the sky watching their every move. However, the only ones who should be concerned about God’s watchful eye are those who disobey His will. If we obey the gospel and follow His word each day, the blood of Jesus cleanses us from our sins (1 Jn. 1:7-9). For those whose sins have been forgiven, the eye in the sky is a blessing. For those whose sins have not been forgiven, the eye in the sky means the certainty of judgment, for God will not let the guilty go unpunished (Ex. 34:7).